One of the advantages of being a Billboard Connection franchisee is that you are not required to have previous advertising, sales or outdoor media experience. Through a combination of comprehensive classroom and field training, we assist you in gaining the knowledge and experience necessary to get your business up and running. Five days of extensive training at our world headquarters in West Palm Beach, Florida - Here you will learn everything there is to know about the outdoor advertising industry. Our franchise specialists will instruct you on the elements necessary to operate a successful business such as financial management, marketing, sales and information technology. In addition, you will learn how to find and coordinate the client services including outdoor advertising design, pricing and production. Airfare, lodging, ground transportation and lunches are included while in training. In-territory business launch – After training, a Billboard Connection field specialist will come to your market area to assist you with new business development and marketing. Detailed operating manual – Every Billboard Connection franchisee receives an operating manual filled with operating procedures necessary for a successful franchise. Customized marketing assistance – As a Billboard Connection franchisee, you will receive professionally designed marketing materials created to introduce your business to your market. These materials include stationery, letterhead, mailing lists, business cards, a Yellow Pages ad, direct mail pieces and more. Support Services – As a Billboard Connection franchisee you enjoy the support provided by a global company combined with the independence of owning your own business. You gain the full resources of a team committed to helping make your business a success through continued training, consulting, marketing, research and technical support. Ongoing strategic advice and education – Market leadership means staying ahead of the latest trends and developments. We help keep you ahead of the curve by providing periodic updates to your operating manual and recurring bulletins and newsletters that share everything from marketing tips to new operating techniques. As part of a family of business-to-business franchises, Billboard Connection has the support of a network of industry leading franchises such as SIGNARAMA and EmbroidMe. Parent company, United Franchise Group, has used their franchising experience to develop a business model that has led a large number of Billboard Connection franchisees to success and helped the company grow to become a trusted resource in the billboard industry. As part of our family, you get the full support and services of the Billboard Connection team - a group that is committed to providing you with the training, consulting and resources you need to make your Billboard Connection franchise successful. The need for businesses to get noticed through brand recognition and advertising has rapidly increased due to the steady growth of competitive services. As a result, this need to get noticed has propelled the billboard industry to a multi-billion dollar market. Billboard Connection is a company that utilizes relationships with outdoor advertisers to assist small and mid-sized businesses tap into the potentially huge benefits of outdoor media such as billboards, posters, taxi tops and buses without having to take a number behind bigger advertisers. To learn more about Billboard Connection, please tell us a little about yourself by completing the form below. The information provided is confidential and will not be shared with a third party. Please note this franchise is currently not accepting inquiries from outside the United States. Interested parties should have at least $20,000 to invest. 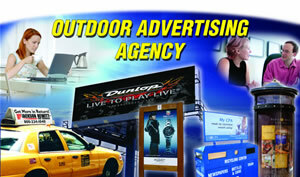 Click on Request Information for FREE info on how to open a Billboard Connection franchise today! Please Note: This Billboard Connection franchise opportunity and other franchise business opportunities, businesses and franchises for sale on this web site are not to be considered as an "offering", "franchise offering", suggestion or recommendation by Franchise Leader™. This advertisement depends entirely on the truthfulness of the information provided by our advertisers which includes, but is not limited to, franchisers, franchise brokers, franchise consultants and business brokers. Franchise Leader™ recommends that you consult a lawyer, financial consultant, accountant or professional advisor before buying a franchise or business opportunity or any type of business. By using this form or any part of our website, you have agreed to all terms and conditions of Franchise Leader™. Please review our Terms & Conditions for more information.